The Queen Mary 2 is one of the most magnificent ocean liners ever built. 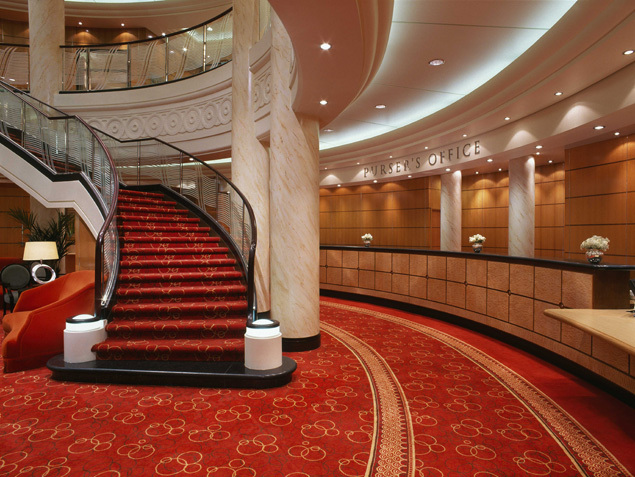 Elegant, majestic, and an inspiration to the legacy of Cunard Liners; the Grand Lobby will astound you, as will the décor, service, and staterooms. With 13 decks, you will have ample space to relax and unwind. The ship even has a Planetarium. Get ready for an amazing vacation with impeccable service - this ship features a spa, fine dining, and more. Book your cruise today! Cruise passengers on the Queen Mary 2 can enjoy a wide variety of activities. The Canyon Ranch SpaClub® is a great place to rejuvenate the body and the soul. 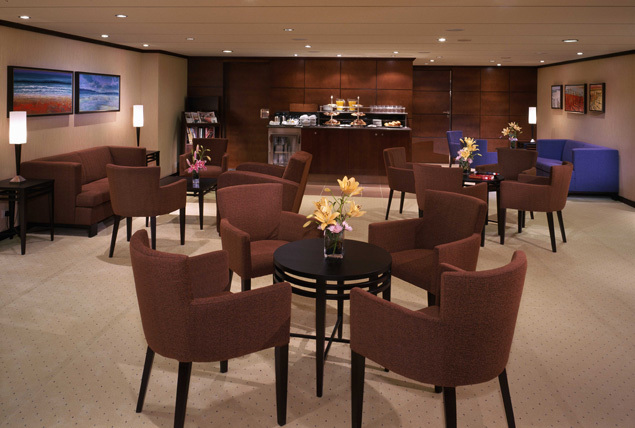 The ship also boasts a state-of-the-art gym and weight room and well-equipped sports decks. Check out the stars at the Planetarium, or enjoy a wine tasting seminar at Illuminations. Discover ballroom dancing or browse through the bookstore. Play board games, or check your email at the computer center. The Mayfair Shops offer everything from souvenirs to jewelry to couture fashion. There is even a Maritime Quest Exhibit. 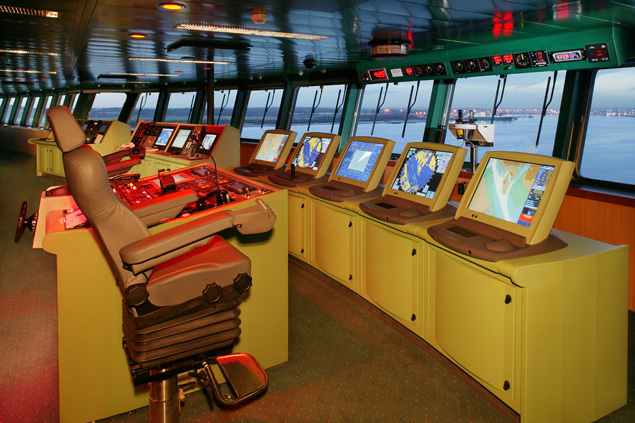 Virtual reality golf, basketball, swimming pools, and a movie theater - this ship has it all! 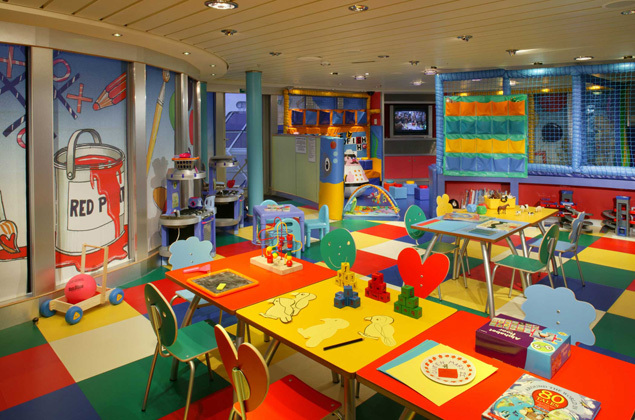 For the kids, there are special venues featuring the Cunard's Childrens' Programme, with activities and entertainment for kids of all ages - and it is all supervised so the parents can relax. 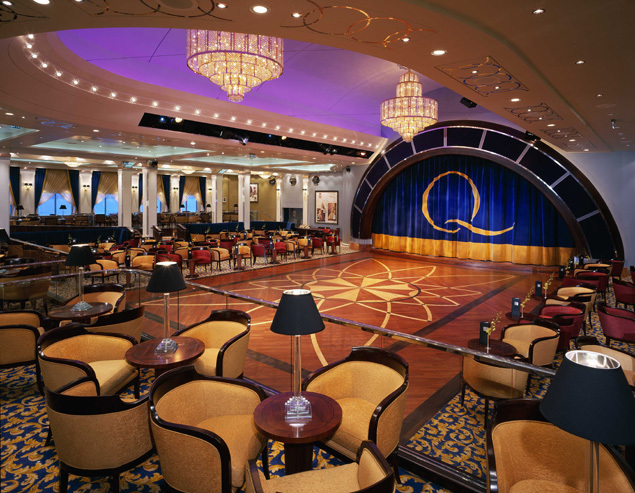 Dining on the Queen Mary 2 is a delightful experience. Breakfast, lunch and dinner are served to your exacting standards. Luxurious meals, impeccable service, and fine dining - what more could you ask for? 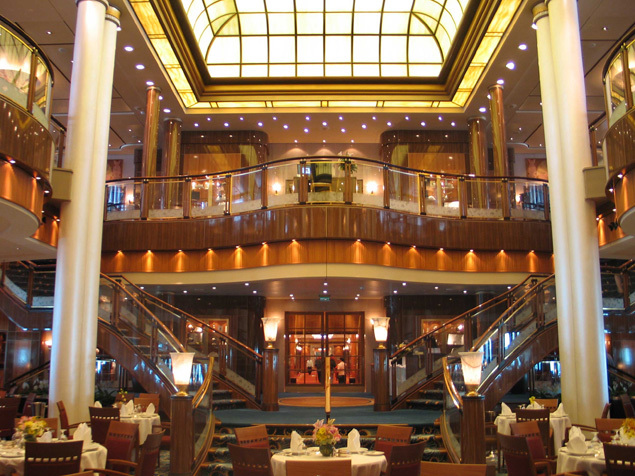 The ship has the Queens Grill Restaurant, the Princess Grill Restaurant, the Britannia Club and the Britannia Restaurant (which, as the ship's main dining room, spans three decks.). Alternative dining options include Todd English, serving Mediterranean cuisine, the Kings Court, a casual venue for breakfast and lunch. Kings Court transforms to a late-night buffet, Lotus, at night and features Asian Cuisine, the Carvery for British-style carved roasts, La Piazza, which serves Italian food, and the Chef's Galley, where the chef cooks your meal in front of you. The Golden Lion Pub serves a traditional Pub Lunch with classic English dishes like fish and chips, and cottage pie. The Queen's Room serves proper British Afternoon Tea with fresh scones, pastries, finger sandwiches and more. Boardwalk Café is a casual eatery that right by the pool and Sir Samuel is a coffee bar by day, wine bar by night. The Queen Mary 2 sparkles with life at nighttime. From a Black and White Captain's Ball, Ascot Ball, and Pirates Ball (each on different nights) to live music, musical productions and Shakespeare plays, a casino, you'll enjoy your evenings to the fullest. Try the Chart Room - a great spot featuring live jazz and cocktails - or the Commodore Club with a piano bar and classy décor. The Royal Court Theatre presents lavish musicals and other entertainers, as well as a relaxing lounge atmosphere. The G32 is a nightclub that features a live dance band as well as a DJ, so get ready to dance the night away. The Golden Lion Pub is an authentic English Pub - on a boat. With darts, karaoke, and an amazing selection of ale, you will feel like you are in Jolly Old England. Illuminations is a great place to catch a movie, while Sir Samuel's serves a variety of fine wines. Vueve Clicquot Champagne Bar is an elegant salon perfect for meeting new friends, and it serves seven different types of Vueve Clicquot champagnes. The ship also features the Empire Casino, a Monte Carlo-inspired casino with thirteen gaming tables, 120 slot machines and a bar. There is also the Churchill's Cigar Bar, the Regatta Bar, the Pavilion Bar, the Terrace Bar, and the Winter Garden. Finally, enjoy the Royal Nights, spectacular themed balls that take place in the Queens Room on various nights of each cruise.